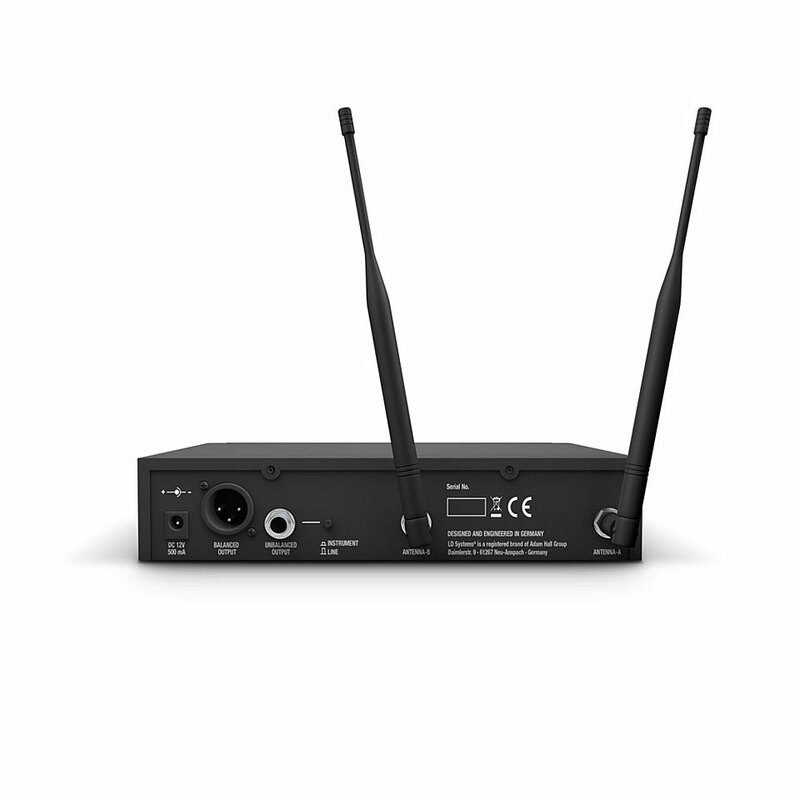 Receiver Features: 9.5"/ 1U, XLR and Unbalanced jack connection. 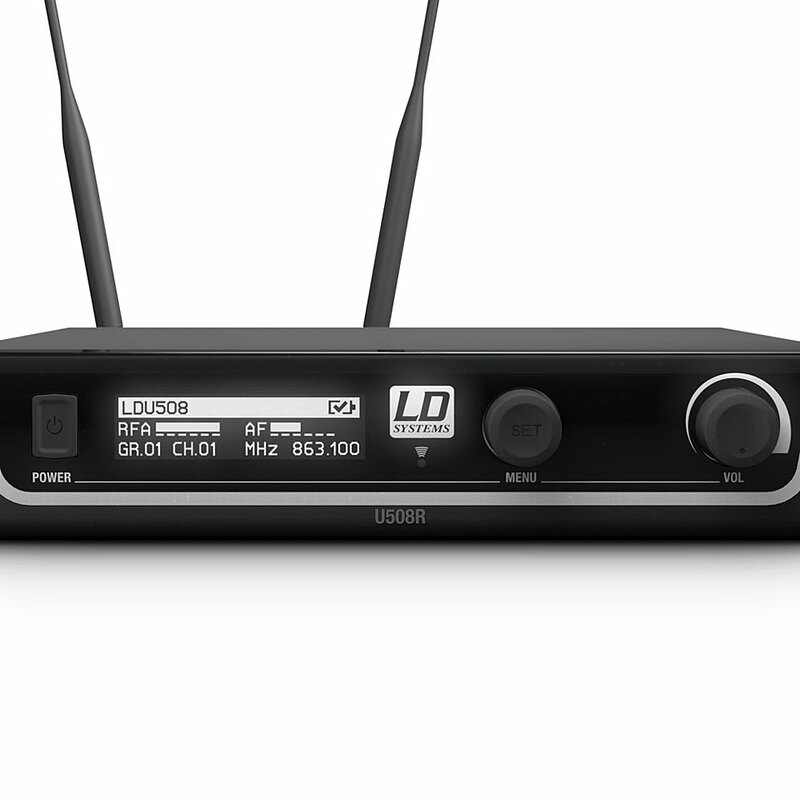 The U508 HHD Wireless System has been developed around the needs of ambitious musicians. 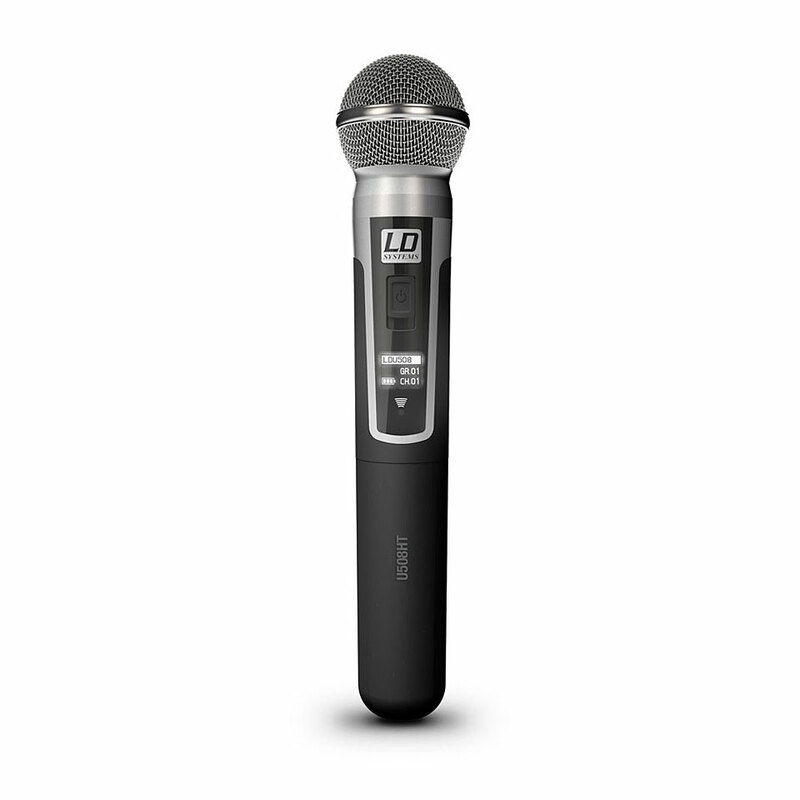 Professional sound, amazing performance and reliability at an affordable price were always the focus of the development team. With a selectable transmission power of up to 30 mW, the Vocal Set with a headset over a range of 100 meters in the open field and in the range of 823 - 832 MHz + 863 - 865 MHz, up to 6 systems can be used simultaneously. 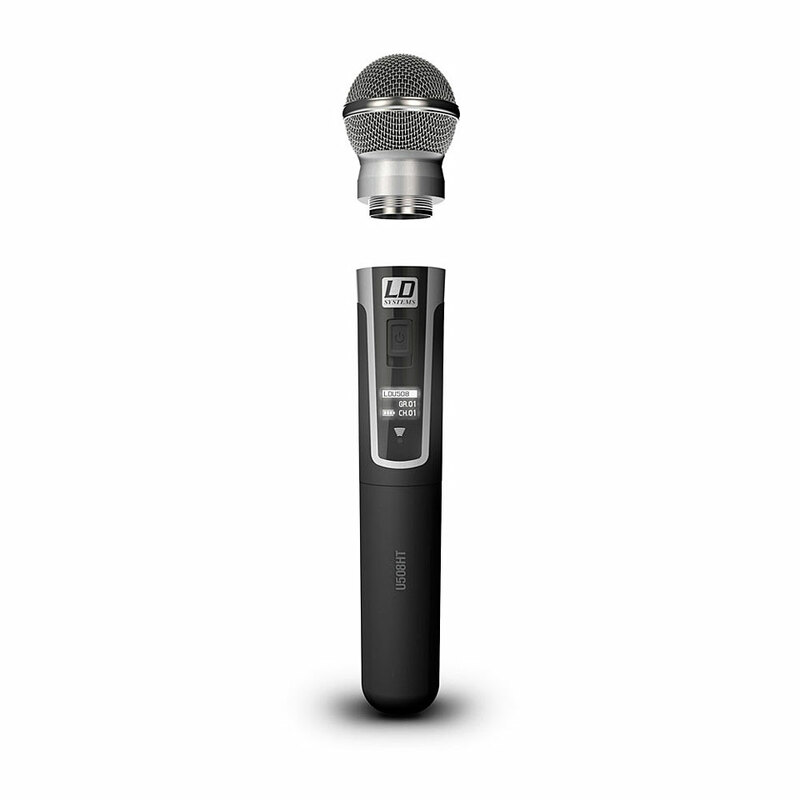 The True Diversity UHF technology is equipped with an automatic search function that finds the best free frequency and facilitates the setup with the comfortable one-touch infrared synchronization of transmitter and receiver. High-contrast OLED displays provide an optimal function overview with group, channel, radio frequency, signal strength and battery status, as well as individual users. In addition to the noise gate, an inaudible pilot tone of the transmitter ensures a fault-proof function. It protects against interferences and mutes the receiver if a radio signal is present without this sound. The effective U500 technology with high-quality components achieves precise, distortion-free transmission without latency or artefacts. The low power consumption ensures a transmitter runtime of up to 10 hours with two AA batteries. The U500® series has been developed to offer technically mature and affordable radio systems that are tailored to the needs of professional users. 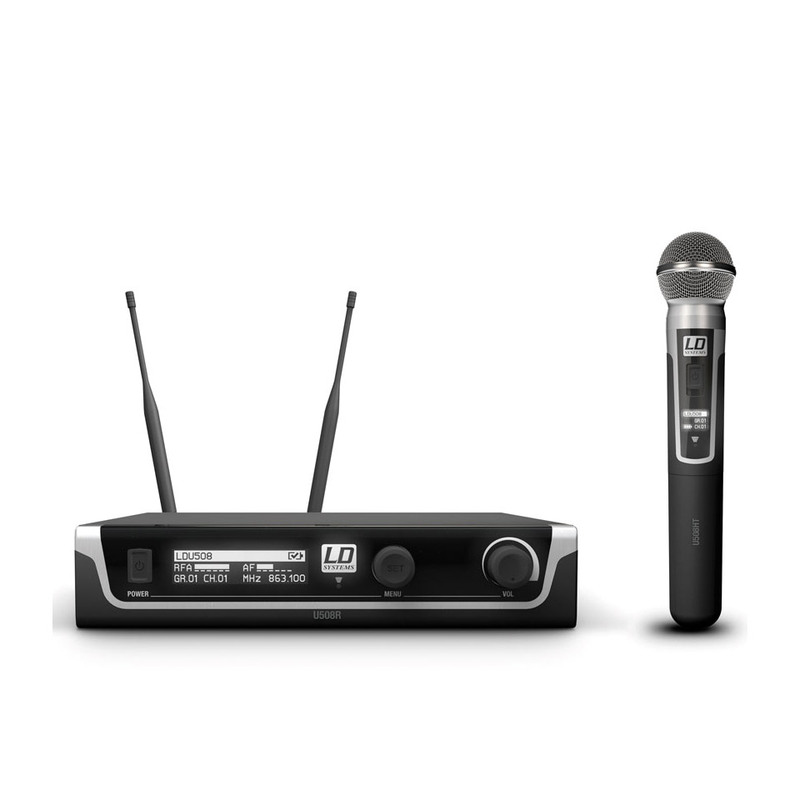 Whether for voice, instruments or as a wireless conference system, the U500® Series sets meet your expectations of first-class sound, reliability and ease-of-use. With automatic channel search, convenient infrared synchronization and intuitive menu guidance on easily readable OLED displays with battery level indication and user name assignment, the True Diversity UHF radio systems of the U500® series are ready to roll. The selectable transmission power up to 30 mW and the noise suppression with pilot tone ensure the highest audio and transmission quality without artifacts with over 100 meters range in the open. Interchangeable microphone capsules allow the hand transmitters to be tuned to different speech and vocals. For direct connection to guitar and bass amplifiers, the outputs of the single and double receivers can be switched to instrument levels; the wide frequency range from 30 to 16,000 Hz also covers the lowest bass tones. U500® Vocal and Instrument Sets are available for three radio frequency bands: 584 - 608 Mhz and 655 - 679 MHz, 12 systems can be operated simultaneously, in the range 823 - 832 MHz + 863 - 865 MHz, six systems can be used simultaneously. The U500® conference system can be extended to a maximum of 20 consoles and ensures effective communication with excellent speech intelligibility. 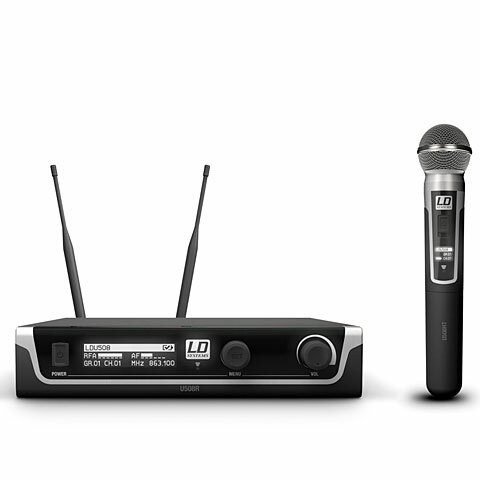 · Show all articles of the brand LD-Systems.